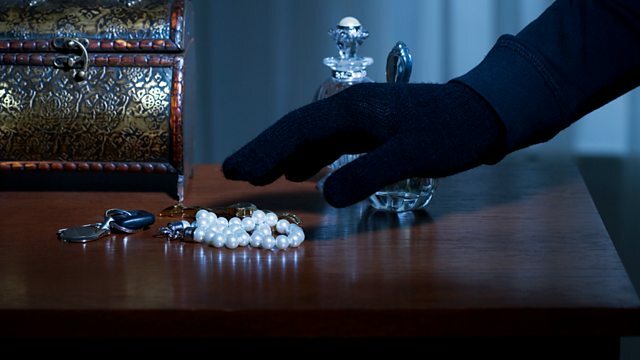 An ex-jewel thief in France battles to prove his innocence. The novel that became a Hitchcock film classic. Stars Jeff Harding. David Dodge's novel is a fast-paced, entertaining page-turner that was subsequently turned into a memorable film by Alfred Hitchcock, starring Cary Grant and Grace Kelly. Now, Jean Buchanan's dramatisation brings it to radio. American John Robie is living quietly in the South of France, trying to put his career as a notorious jewel thief behind him. However, when a series of huge jewel thefts begins on the Riviera, targetting rich Americans, the police immediately suspect he's returned to his old ways. To prove his innocence, and trap the real thief, Robie must resort to subterfuge. But his plans go awry when the daughter of one of the rich American tourists takes rather too close an interest in him - and his past.